Following the sudden loss of one of the charity’s holiday caravans earlier this summer, a number of promised family holidays were under threat. The caravan, based at a holiday park in St Leonards-on-Sea, East Sussex, had to be taken out of service unexpectantly due to wear and tear and a replacement had to be found urgently. Citybond Suretravel, our long-time Corporate Supporter, came to the rescue at the 11th hour to fund a replacement 8-berth caravan and in the event, every promised holiday was protected. 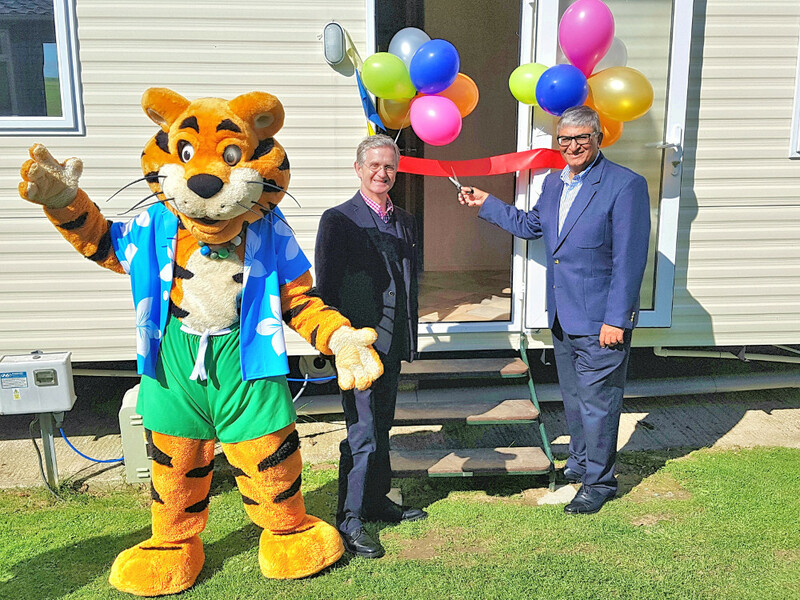 The new caravan, which will provide week-long and short breaks to some 44 families each year, was officially opened earlier in September by Citybond’s managing director and Family Holiday Association Patron, Mansukh Ganatra. Mansukh, visiting with his family, was delighted with the quality of the caravan and after cutting the ceremonial red ribbon and looking through the caravan, were provided with a tour of the holiday park. 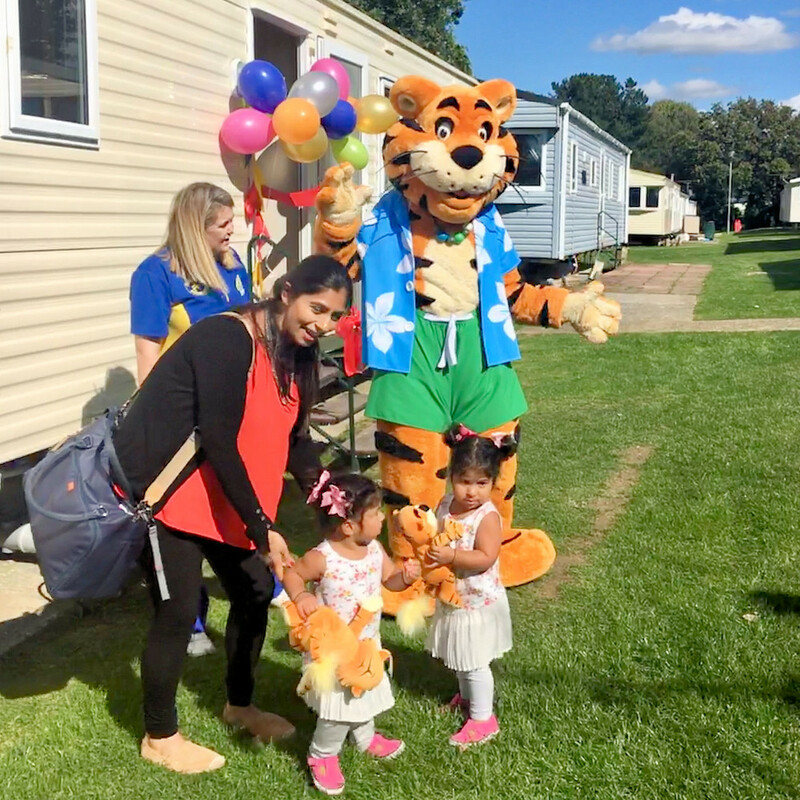 Mansukh’s two young grandchildren (twins) were thrilled to meet the holiday park’s mascot Rory the Tiger.